18 piece tray jigsaw puzzle features middle sized puzzle pieces. The complete jigsaw is approx. A5 size. 18 piece tray jigsaw puzzle can be personalised with your own design from both sides. 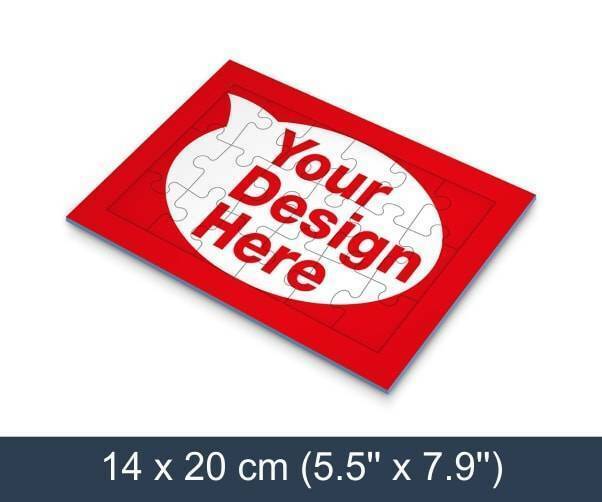 This little jigsaw puzzle is perfect for marketing activities to promote your company’s products or services. You also can choose from matte or glossy coating. Each 18 piece tray jigsaw puzzle is individually shrink wrapped in pvc foil.